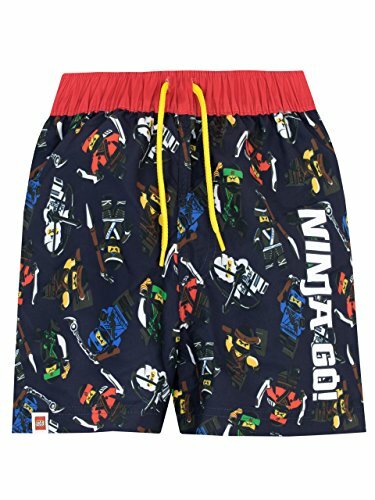 Boys Lego Ninjago Swim Shorts. Kit your little Ninja for the summer of a lifetime with these fun Lego Ninjago Swimming Trunks! Perfect for the beach or the pool, these navy and red bathers feature a motif of Zane, Jay, Cole, Lloyd, Kai and Nya and the slogan 'Ninja Go!' on the side of one leg. The Skulkin Army will not dare spoil their fun when they wear these cool board shorts!